Like Nelson, I’m a poor sailor. Give me a whiff of salt air and I start to feel queasy. Unlike Nelson, I’m no hero. Mention the high seas and I’m running for cover. That’s why, when it comes to cruising, I don’t want a life on the ocean wave. I want a smooth trip along a beautiful river. Over the years I have been on several – across Europe, through Russia and in the Far East – but I am just back from what I reckon was the best yet. Everything about it was exactly right, and I think I have worked out why. For a start, it was the right destination at the right time of year. India in December means the highs are around 75F, which is just perfect for me. And India is my kind of destination because its history is so fascinating, its culture is so varied and my mother was born there (the daughter of a donkey-riding missionary and a British Indian Army officer, she left the country as a teenager, before the end of British rule in 1947, but to the end of her days India had a very special place in her heart). I wanted to visit Kolkata, once the capital of British India and the home of Mother Teresa. I hoped to see New Delhi, the capital of modern India, where the great Mahatma Gandhi was assassinated in 1948. I had to visit Agra for the Taj Mahal (it’s on all our bucket lists, after all). 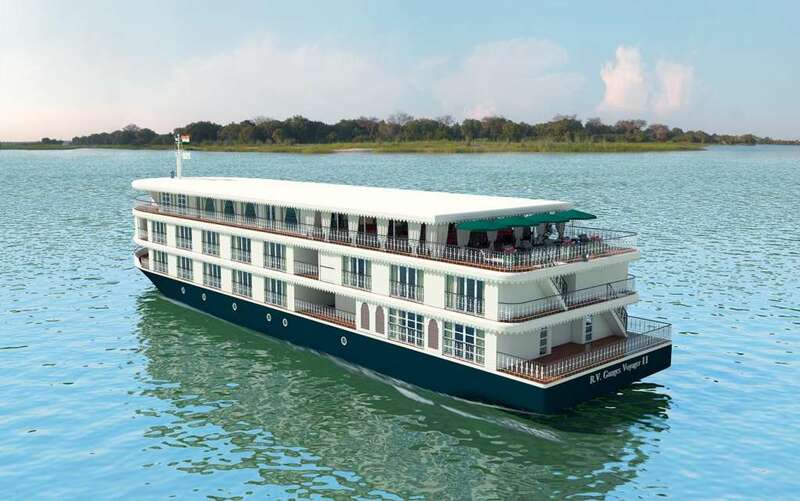 And, if you’re into river cruising, can you imagine anything more wonderful than gliding along the sacred River Ganges? Uniworld offered a trip that ticked all my boxes, and threw in a visit to the pink city of Jaipur as well. 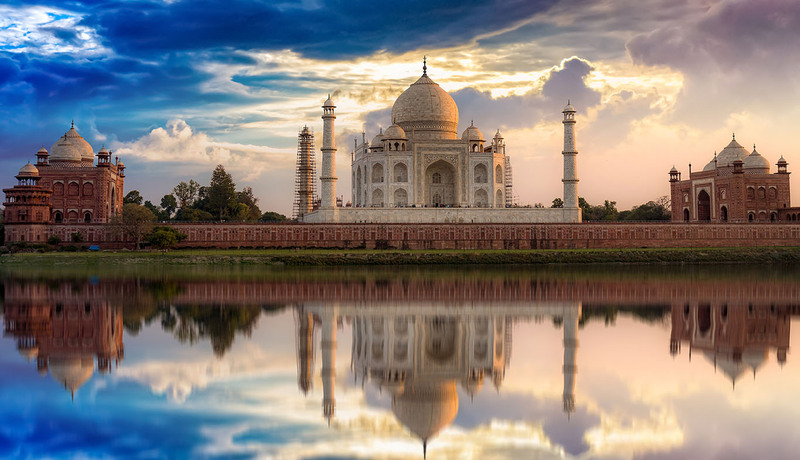 Since I had enjoyed three previous trips with this American company (I’m partial to a bit of deep luxury, all drinks and tips included), I called up Titan Travel and booked our passage aboard the beautiful Ganges Voyager II. As ever, I had the right travelling companion – my wife. We met at university, 50 years ago, so we’re just about used to each other’s foibles by now. But on this occasion, for once in a lifetime of travelling together, we took the right amount of luggage. If you haven’t tried travelling light, with hand-luggage only, you’ll find it’s a revelation. Imagine: no heaving great suitcases across the airport concourse; no standing around anxiously in front of an empty carousel. Having checked out the maximum size permitted by our airline we bought two new (bright turquoise!) 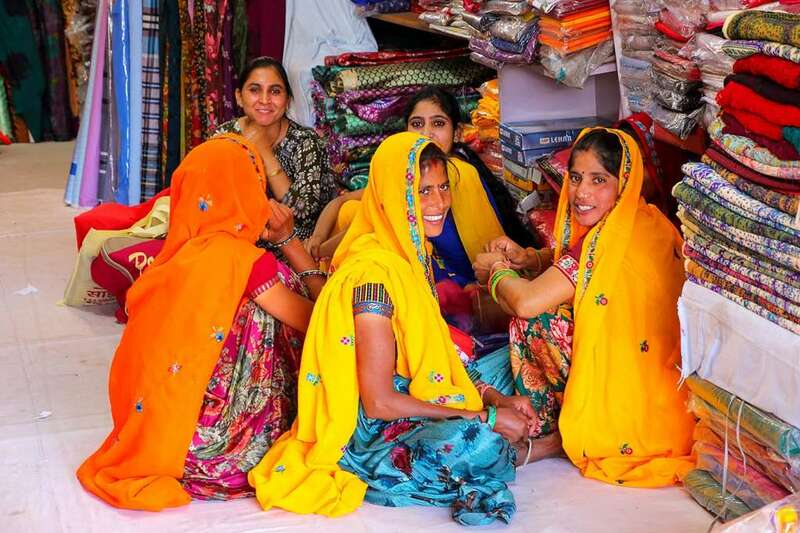 carry-on cases and packed the bare necessities – knowing we would be able to get laundry done on the boat and remembering that in India you only need casual clothing, so as long as you have plenty of layers to put on or peel off, you’ll be fine. The next thing we did right was push the boat out and travel in style. We flew from Heathrow to New Delhi via Dubai on Emirates, business class. It isn’t cheap but it is special and, to be honest, the Emirates lounges at Heathrow and Dubai are good enough to be luxury holiday destinations in themselves. But however you travel to India, you need to arrive with the right attitude and in the right frame of mind. This is not the Isle of Wight. It looks, smells and feels different; the air pollution in Delhi is pretty bad and the warm smog can knock you back a bit as you step off the plane. The streets are full of rubbish and the traffic is a nightmare. As our guide explained in the minibus that picked us up at the airport, the road markings are just there for decoration. In India the rule of the road is simple: every car, bus, van, bicycle, tuk-tuk, cow and camel for itself. India is a vast country, home to 1.25 billion people, and it grows by the equivalent of Australia’s population every year. It’s developing fast, too. There is deprivation still in parts of the cities, and subsistence living for many in the rural areas, but the poverty is nothing like as evident, or as distressing, as on my previous visit, some 20 years before. Happily, tourism is a good wealth-generator, and everyone we met – rich or poor, with the single exception of the hatchet-faced immigration official who checked our visas on arrival – welcomed us with a genuine smile. Almost all the young people appear to have iPhones and there is a national obsession with selfies (we were constantly besieged by youngsters wanting to have their photos taken with us). On the morning after our arrival, the holiday proper began. It turned out there were just 28 of us on the trip, a mix of Brits, Americans and Australians, and a good range of ages, too. Our leader was called Vishal (“As in ’Vishal overcome’,” he told us) and he was the right man for the job: intelligent, informed, interested, energetic. Accompanying us from start to finish he managed to get everyone to the right places on the right days at the right times without making us feel either bullied or patronised. Our itinerary was superbly planned: there was something stimulating and extraordinary on every day, but not so much that you couldn’t absorb it. What were the highlights? In Delhi, for me it was house where Gandhi was living at the time of his murder. In Jaipur, it was the Maharajah’s Palace in the centre of the Pink City, so called because the Maharajah of the day ordered everything to be painted in the colour of hospitality for the visit of the Prince of Wales in 1876. In Agra, of course, it was the Taj Mahal, looking even more beautiful and ethereal than when I last saw it because the amazing ivory-white marble has recently been cleaned. We spent an afternoon there with an optional return at 5.30 the following morning to see the sun rise and enjoy the world’s most famous monument to love before the crowds arrived. It was worth it. Around two million visitors (mostly Indians) visit every year, but by being first through the gates we managed to take pictures of ourselves alone there. When an image is as familiar and iconic at the Taj, you expect the reality to be a let-down. It isn’t (and to our delight, the Oberoi Hotel delivered on its promise to offer that famous view from every bedroom). After six nights on land, we flew from Jaipur to Kolkata to board our boat. In my experience, successful cruising is all about the crew. Of course, you want a ship that is spacious, gracious, safe and sound (with showers and loos that work), but it’s the people who make the difference, and these guys were amazing. For a start, there were more of them than there were of us, and their thoughtfulness, attention to detail and smiling faces had everyone on board saying, “This is the best crew we’ve ever known”. The Ganga, as the river is known locally, is the third largest river in the world by discharge. It flows for 1,600 miles from the eastern Himalayas, south and east through northern India to West Bengal. We travelled along it for a mere fraction of its length, but every mile told a story. We were transfixed by the ghats – broad, shallow stone steps that lead down from the embankment to the water, where children swim, women wash clothes, and old men perform their ablutions. We also saw any number of funeral pyres burning on the bank. The river is highly polluted but there were still fishermen out on their boats and, for those who didn’t mind a 5am start, our cruiser had its own sampan to glide over the still water and watch the birdlife at sunrise. But the great joy of river cruising is that you can disembark to explore places you would never see if you travelled across country by the major roads. We stopped at Matiari, a remote village where everyone is involved in the local craft of metal-working; at Mayapur, where they are building a Hare Krishna temple that will be the largest place of worship in the world; at Chandannagar, the last outpost of French colonial India… and so it went on. Looking back at my travel diary, there is a highlight on every page. I must mention the food, too, which was superb (international as well as Indian). 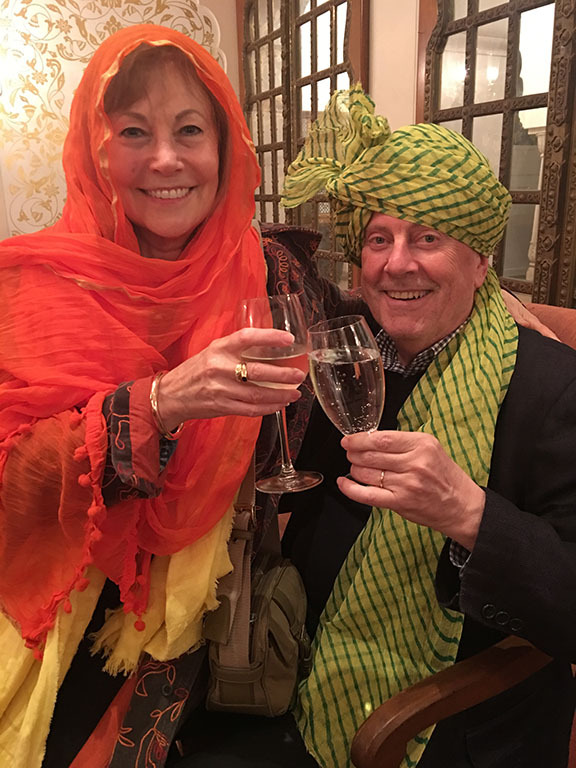 And the onboard entertainment, which was varied but optional (not everyone was as keen as my wife and I to learn how to wear a sari and a turban, and to give themselves over to Bollywood-style dancing). Not one of the trips ashore was a dud. Our visit to Mother Teresa’s house and the orphanage for children with learning disabilities was very moving. Our excursion to the Queen Victoria Memorial Hall museum in Kolkata was quite encouraging, because it turns out that the legacy of the British Empire isn’t all bad. Our wonderful West Bengali guide was a particular admirer of the late Lord Curzon, British Viceroy from 1899 to 1906. Standing on the steps of the huge statue of Queen Victoria he told us, “India owes Lord Curzon a great deal. He introduced the Ancient Monuments Preservation Act in 1904 which led to the creation of the Archaeological Survey of India, and that has been protecting our national heritage ever since.